Echinacea, also known as coneflower is a beautiful and easy to grow flowering perennial. Once established it can propagate easily. Starting from seed has been a little difficult for us. The purple flowers attract a large number of bees, and that is the primary reason to have it in our garden. Other than attracting bees, echinacea possesses a long list of medicinal properties. Most parts of the plant can be used for medicinal purposes, including the petals, leaves, and roots. 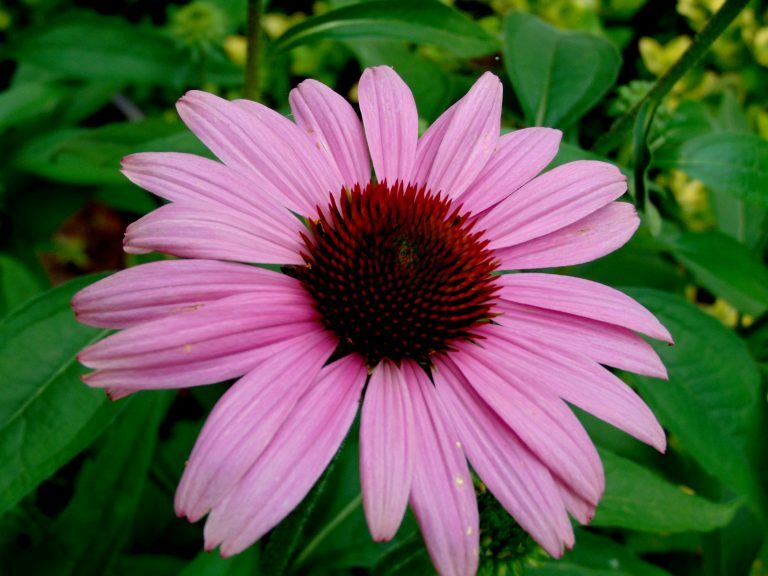 Echinacea has been used to treat the common cold, infections, anxiety, and a long list of different conditions. Check out some additional flowering plants growing in our garde.